According to supporters of the ban, the manner in which Muslims and Jews traditionally slaughter is more painful to the animal than stunning the animal first and then slaughtering it. As in the Jewish tradition, Muslims have a particular manner in which they must slaughter an animal. The animal’s throat is slit to induce quick bleeding to reduce suffering. In order to do this, Muslims are instructed to make sure that the knife is sharpened. Also, in order to be as humane as possible, the knife should not be sharpened in front of any animals and one animal should not be slaughtered in front of another. While this ban affects both Muslims and Jews, Muslims see it as another example of the anti-Muslim sentiment in Europe. In the past few years, there have been several bans that targeted Muslim communities in particular, for example, the bans on the face veil in France, Belgium, and Italy as well as the minaret ban in Switzerland. Moreover, in the recent French elections, French Muslims were upset that Nicholas Sarkozy made the issue of halal meat a central concern. Many Muslims would prefer to eat meat slaughtered according to Islamic law. Thus, any attempt to ban this type of meat is problematic. British Muslims are not convinced by the arguments that the Islamic means of slaughter is more inhumane than stunning and maintain that their way minimizes the pain to the animal. Whether or not these new calls for bans are another example of an anti-Muslim sentiment, they certainly make the situation more difficult for the Muslim citizens living in these countries. What do you think of the calls for bans on halal and kosher meat? Do you think that they are meant to target Muslims? Are they an example of anti-Muslim sentiment? What do you think about the arguments for the ban? Should religious communities be prevented from preparing their meat in accordance with their religious law? Please share your comments below. This entry was posted in Europe, Food and tagged #SSRCWCG, Britain, France, Halal, kosher, minarets, Niqab, Switzerland by Reem. Bookmark the permalink. 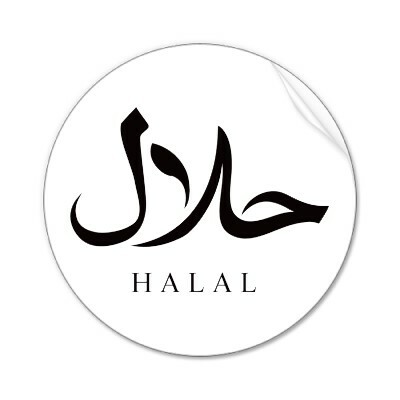 The Koran says that if halal meat is not available then meat fit for Christians is acceptable…. Ban ritual slaughter and there is no issue…. I live in the UK and I want non-stun slaughter banned. It’s not at all a religious targetting, it’s animal rights. If there was a Halal or Kosher method of slaughter that did not cause pain for the animal then I would be fine with it.